Dr. Henry Oliver, Jr., Ed.D. Dr. Arnett Smith, Jr., Ed.D. FIRST RENEWED MEMORANDUM OF UNDERSTANDING REGARDING QUALITY OF EDUCATION--STUDENT ACHIEVEMENT BY AND BETWEEN CONCERNED ORGANIZATION FOR THE QUALITY EDUCATION OF BLACK STUDENTS, INC., AND THE SCHOOL BOARD OF PINELLAS COUNTY, FLORIDA, Pinellas County School Board. 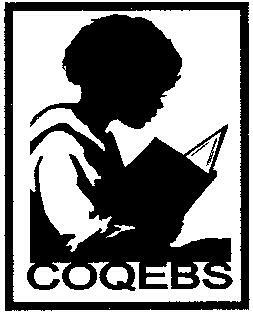 and Concerned Organization for Quality Education for Black Students, Inc.
Baby Talk Week 2014, COQEBS. School Readiness Committee. and University of South Florida St. Petersburg. Baby Talk 2013, Eddie Burch, James P. McHale, and COQEBS. School Readiness Committee. COQEBS: About this collection, Nelson Poynter Memorial Library. Special Collections and University Archives. CONCERNED ORGANIZATION FOR QUALITY EDUCATION OF BLACK STUDENTS, INC., Ricardo Davis, James P. McHale, and COQEBS. School Readiness Committee.